Interesting alignment of parties in this challenge to Defra’s new system of allocating fish quota brought by an industry body (UKAFPO), in practice representing the larger fishing fleet – vessels over 10 metres in length – Defra was supported by Greenpeace (how often does that happen? ), and by the New Under Ten Fishermen’s Association. And this was because Defra had transferred some fishing quota from the larger to the smaller fishing fleet, namely those under 10 metres in length who fish inshore waters. The first claim was that UKAFPO had a substantive legitimate expectation in their favour which was unlawfully frustrated by Defra’s change of policy. The second was that there was a breach of Article 1 of Protocol 1 (A1P1) of ECHR, or its EU analogue, Article 17 of the Charter. The third was that UKAFPO was being discriminated against unlawfully – comparable situations must not be treated differently under EU law, and only English fishermen who were members of English fish producers organisations were affected. Fishing quota are set by the EU’s Common Fisheries Policy, and allocated to member states. Member states then distribute the quota. UKAFPO get the quota and then distribute it amongst its members. Defra’s main purpose was to re-allocate unused quota from the over-10s to the under-10s. UKAFPO said that the Government had consistently said that quota would be allocated in a certain way (via “fixed quota allocation units”), that quota allocations would not be lost because a fishermen did not fish his full allocation, and that, if change was to come it should not be retrospective. 4. Although in theory the defined class being large is no bar to their having a substantive legitimate expectation, in reality it is likely to be small if the expectation is to be made good…. But EU substantive legitimate expectation was also in issue. This is similar, but not identical. It arises when the EU has given a person precise assurances, leading him to entertain legitimate expectations. Precise, unconditional and consistent information coming from authorised and reliable sources amount to such assurances. However, if a prudent and circumspect trader could have foreseen that the adoption of a Community measure is likely to affect his interests, he cannot plead that principle if the measure is adopted. But a legitimate expectation can be defeated by an overriding public interest. The European Court seeks to balance the need of the EU to alter its policy for the future, with the impact that such alteration might have on traders who based their commercial bargains on pre-existing rules: -. Cranston J decided that the case fell at the first hurdle, 1 above. There was no clear, unambiguous and unqualified undertaking that the current system would continue. Much of what UKAFPO was relying on amounted to no more than an explanation of how the current system works. In any event, even if there were such an undertaking, there was ample justification for the change. The workings of the Common Fisheries Policy lie towards the macro-political end of the policy making spectrum. Fish are a scarce resource and decisions have important, social, economic and environmental implications. Defra was well aware that fish producer organisations took the view – contrary to his – that the decision would upset what they asserted was their substantive legitimate expectation. A prudent fisherman could have foreseen change. The management of fish to ensure utilisation of fish stocks is obviously a legitimate aim of public policy. On such matters of economic and social policy the Secretary of State had available to him a wide discretion. Finally, the means chosen to effect change were proportionate. I have set out the rules for this part of the case, and the judge’s answers, because they explain in substance why the parallel case under A1P1 also failed. This raised a point of general interest. Were fish quota possessions within A1P1? Greenpeace and the Under Tens said – no. Fish stocks are a public resource, recognised as such as long ago as Magna Carta. Consequently there can be no property right in fish until they are caught. Defra said that fixed quota allocations were not possessions, even though fishing licences and fishing quota may be. They do not give rise to a precise share of quota – they amount to no more than a hope of a future allocation of quota. Cranston J took a more pragmatic approach. Fixed quota allocations can be traded and used as security for bank finance. The tax authorities treat them as a capital asset for purposes of levying Capital Gains Tax. They have a monetary value and can be marketed, applying an influential test laid down in the Security Industry Authority case. So, he concluded, they were possessions within A1P1. However, that was the high water market of UKAFPO’s argument. The judge concluded that Defra’s change of policy did not amount to an interference with or deprivation of possessions. The reality is that the quota affected by the decision had been consistently unused. UKAFPO and its members have no proprietary interest in the fish, and the fixed quota allocation units give no right to any specific amount of fish stocks until the Minister reaches his annual decision. 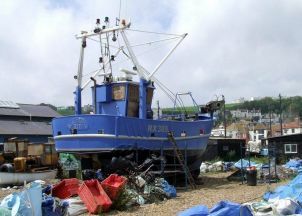 There was evidence that the quota had been valued at over £1m, but the judge thought this was theoretical; he pointed out that for a variety of reasons it was not worthwhile for the fishermen to exploit the fishing stock represented by these allocation units. Once unused in 2012 the opportunity to fish that stock disappeared. Anyway, and very much on the lines of his conclusions on legitimate expectation, the judge decided that any interference or deprivation was in accordance with the law and justified. This was a factually separate point. Quota was moved only from English licensees of vessel who are members of English producer organisations. So not only are Scottish, Welsh and Northern Irish licensees not affected, neither are English licensees who are members of Scottish, Welsh or Northern Irish producer organisations. Yet the beneficiaries of the quota are the members of the UK Under-Tens as a whole. This was discriminatory. It was not the only way of doing things; a UK wide solution could have been imposed. Public policy making can rarely be the finely tuned exercise forensic analysis demands. As far as was practicable this was a carefully calibrated exercise of attempting to identify unused quota which would be fished by the under 10 metre fleet. and even if there was it was objectively justified by the aim of maximising the utilisation of available quota. Substantive legitimate expectation and A1P1 claims are regular bedfellows. Once a public authority has promised you something, it is not difficult to say the subject of that promise is a possession. But they often stand or fall together, as this case demonstrates. Justification of a change of policy will defeat both claims.